FIGURES. NAACP Supports WHITE FRAUD Chapter Prez Who Claims Her Black Daddy Beat Her With "Baboon Whip"
The NAACP today released a statement supporting white fraud Rachel Dolezal, who is Caucasian but pretended for years to be black. 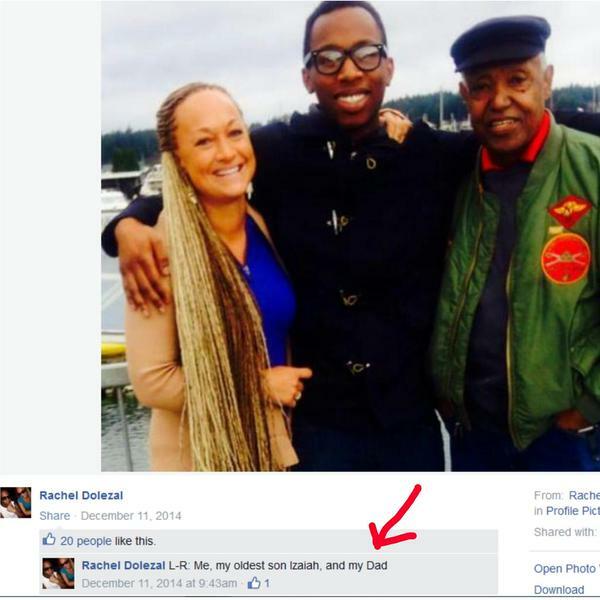 Dolezal claimed her black daddy used to beat her with a baboon whip. Rachel also claimed she was born in a teepee. The National Associated for the Advancement of Colored People released a statement Friday regarding the controversy surrounding Rachel Dolezal’s racial identity. Dolezal’s parents said Thursday that she is a Caucasian woman and has been misleading the public for years, claiming that she is the child of biracial parents instead of Caucasian parents. Dolezal later came out and expressed that she and her parents do not speak due to ongoing legal issues. The NAACP said in a statement that the organization stands behind Dolezal’s advocacy record, regardless of her race. According to the NAACP, one’s racial identity is not a qualifying criteria or disqualifying standard for NAACP leadership. The statement also states that they wish to respect Dolezal’s privacy regarding the legal issues she claims to be experiencing with her family. The NAACP also stated the credible threats received through mail and social media are a serious issue in the Pacific Northwest and across the nation. A recent investigation into racially charged threats made toward the president of the NAACP chapter in Spokane have raised questions beyond who made the threats. On Thursday, Rachel Dolezal’s parents claimed she had been deceiving people.